The rise of Internet of Things technology presents a new opportunity for consumer product manufacturers to digitally-enable their physical products, making them trackable, interactive and “smart.” All everyday items, from t-shirts to boxes of cereal, can now be web-connected with a unique digital identity stored in the cloud. These smart products have the ability to generate and respond to real-time data throughout their lifecycle, which can be used to drive cost efficiencies, develop better consumer engagement and create new revenue streams. This digitization of physical products allows for the seamless flow of data across the entire enterprise, breaking down silos and connecting the dots between the disparate stages of the supply chain management and customer relationship management process. 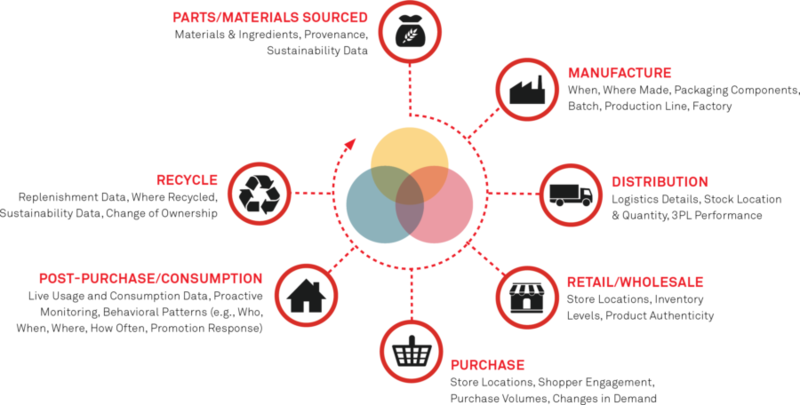 All of this real-time data can then be used to improve each phase of a product’s lifecycle. In our new eBook, we introduce the concept of the Digital Product Lifecycle and demonstrate how brands are using smart products to create value—from supply traceability, product authenticity and stock optimization to in-store marketing and loyalty programs. As connectivity transforms consumer goods, smart products and the real-time data they generate will no longer be just a possibility—they’ll be a competitive imperative. Download The Digital Product Lifecycle eBook to learn more.